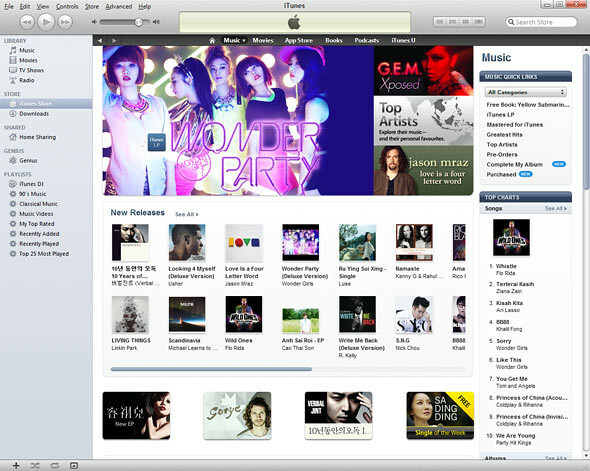 Apple iTunes Store Now Launched In Malaysia! Just yesterday, Apple announced that they will be launching the iTunes store to 7 more countries; Singapore, Malaysia, Thailand, Indonesia, the Philippines, Taiwan and Hong Kong. Guess what! 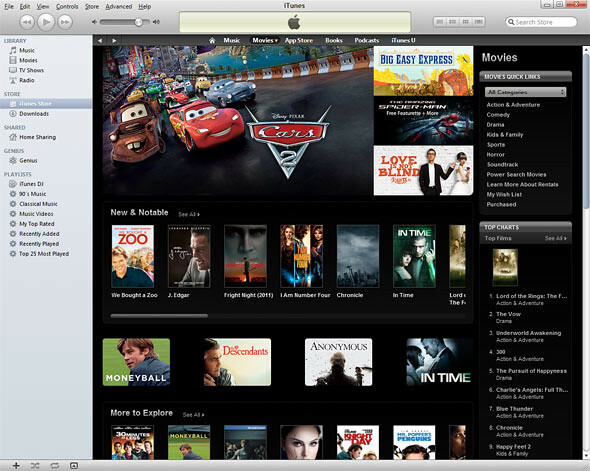 It’s now accessible via iTunes on your computer or the iTunes store app on your iOS devices! If you are a music lover and have been waiting for this service to be made available here, you can now start visiting the iTunes store and start buying single songs and full albums! 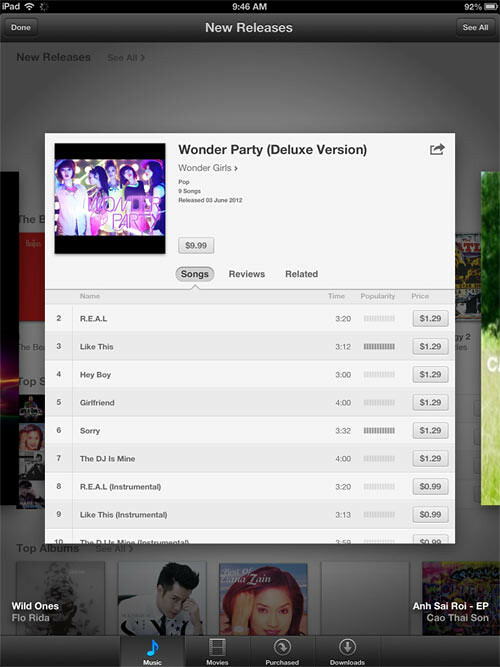 Single songs cost about $1.29 and full albums are around $8.99 to $9.99. On the movies side, we can either purchase a normal movie for $14.99 or the HD version for $19.99. Here’s how it looks like on the iPad. Now go and launch iTunes store on your computer or iOS devices!